Logan Team System 24" Cutter #424 Logan 2000 hand held cutter with 24"- 61cm Adapt-a-Rule - Non-slip rubberised base - Metric and imperial measurements. Logan Team System 40" Cutter - 440 Logan 2000 Hand held cutter with 40" - 101cm Adapt-A-Rule - Rubberised base - Metric and imperial measurements. Logan Mat Cutting Kit Logan 524 cutter, Bevel cutting head, Mat knife, Complete guide book, 10 pieces of matboard, corner transfers, 10 blades etc. KnifeGUARD Magnetic Safety Bar - Acrylic moulding with raised protection edge which clamps to steel rules with 2 rare earth magnets embedded to keep your fingers safe when using sharp bladed knives. Dimensions L 120mm x W 22mm x 13mm high - Colour Orange. No 1 Stencil Knife Sterling 50001 Light duty precision knife- Used for cutting, trimming, scoring and carving- Safety cap included. 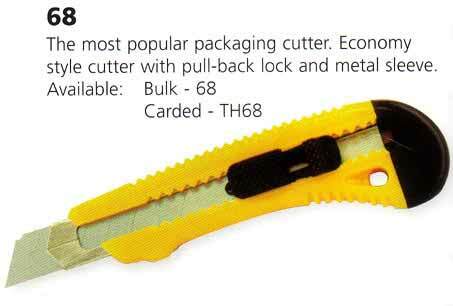 Cutter Economy Snap Blade Cutter Small Ideal for art and craft work on cutting mat- Safety lock and stainless steel sleeve enclosing the blade. 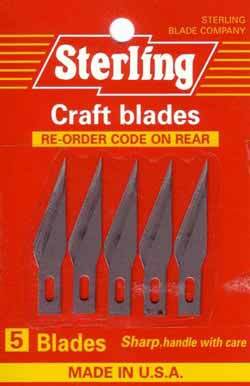 Metal Craft Knife Sterling 119-2- Retractable trapezoid blade- Ultra sharp- Ideal for all craft work. Snap Blade Cutter Large 19mm Heavy Duty with safety autolock and steel sleeve enclosing the blade - blades are replaceable. Snap Blade Cutter Large w/Safety Lock- Heavy duty cutter with stainless steel frame enclosing the blade- Replaceable blades. Snap Blade Cutter Large 19mm - 3M Scotch - Usual 3M quality - just the best. 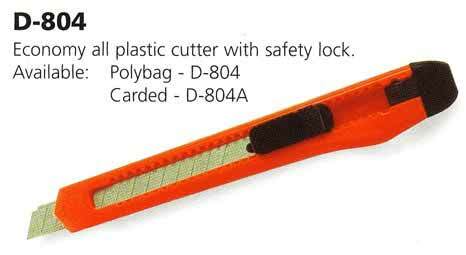 Steel sleeve protects the blade - safety lock and replaceable blades.